“Bright reds – scarlet, pillar-box red, crimson or cherry – are very cheerful and youthful. There is certainly a red for everyone”, wrote Christian Dior in his Little Dictionary of Fashion. Yesterday these words gained poignancy as Kris Van Assche invited us into a stark Tennis Club de Paris soaked in lava red neon light. And youth was very much in play. 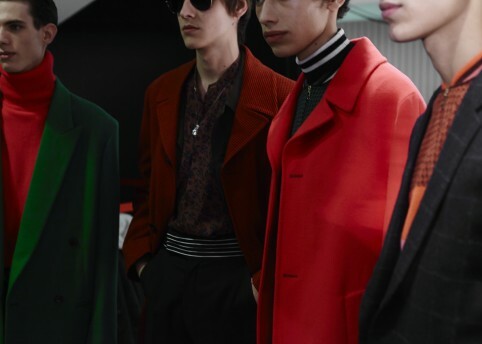 But perhaps not the ‘cheerful’, happy-go-lucky archetype Dior was referring to, Van Assche’s shade of red came with an aggressive bite, and his man was one driven by a progressive grit and joyful zest. 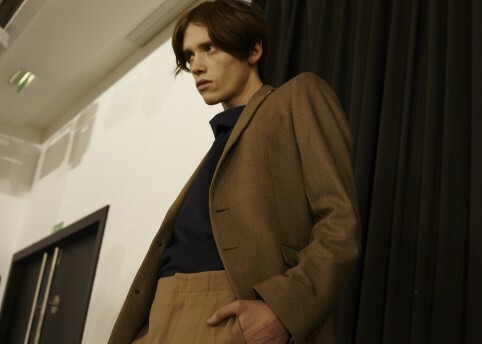 “Traces of memory and tradition can still exist, but these happen without nostalgia: this is the hybridisation of now.” Mused Van Assche in the show notes. This season was about the here and now, why yearn for the past when there’s a nascent scene bubbling right under your very nose? 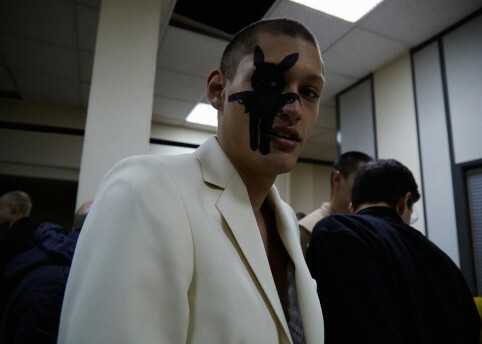 Although skilful, controlled tailoring still dominated (this is Dior Homme, after all), it came woven with fresh malice. 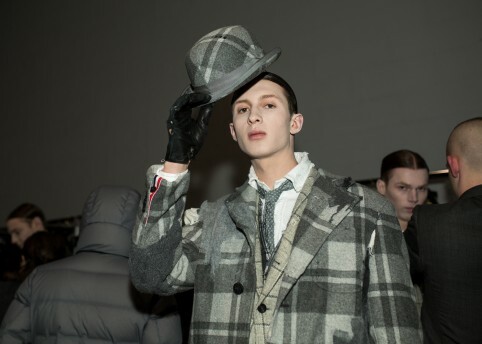 Those immaculate three pieces suits from previous seasons were worn louche, twinned with Rob Roy Macgregor tartan and thick-set Dr. Martens-esque boots – blood red laces splattered across the front, like post-brawl shrapnel – whilst subverted, couture embroidery sliced legs like DIY surgical thread. 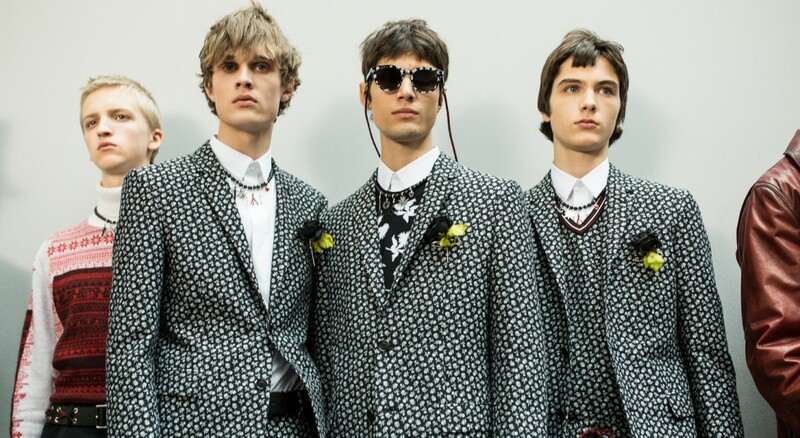 Here was a shift towards a new wave mentality, perhaps best symbolised in the use of Dior archival florals: where once they hinted at prettiness and preciousness, this season they came muted – seemingly picked from the artwork of New Order’s Power, Corruption and Lies – cast upon trousers and coats. These nods to the House’s iconic heritage have become a subtle trademark for Van Assche, and similarly to his SS15 collection, Christian Dior’s signature came traced along the front of hoodies, intertwined with a monochrome rose – a lineage of reference points runs deep. As boys marched between skate ramps – from one particular angle the two sides of a halfpipe protruded from either side of each model’s head, like red, neon horns – against the backdrop of a Willy Vanderperre directed film, their silhouettes subtly evolved, look by look. 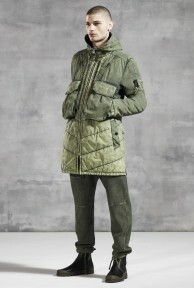 A range of outerwear shifted the boys’ proportions, first top-heavy: worker jackets; shearling lined puffer jackets; parkas rendered in fine cashmere and highly covetable camel duffel coats. 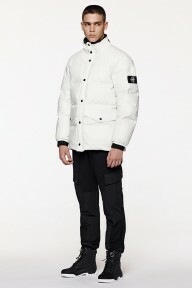 Before billowing trousers brought the volume downwards, rippling around model’s legs to create a loose frame.This adept manner in which Van Assche spliced formal and sports codes in tune with contemporary youth harked back to sportswear-meets-suiting concepts explored through his eponymous label (the designer closed this line last May following a ten year run). Skinheads, Berlin New Wave, grunge, punk, these iconic tribes were all present, yet blended and spat out in a DIY hybrid owned by the youth of today. For today’s tribes are more multifaceted then once was the case. Plundering tropes from assorted subcultures and creating afresh is the norm within this carpe diem generation. Knowing what preceded you is always valuable education, however it doesn’t automatically come with a nostalgic longing. 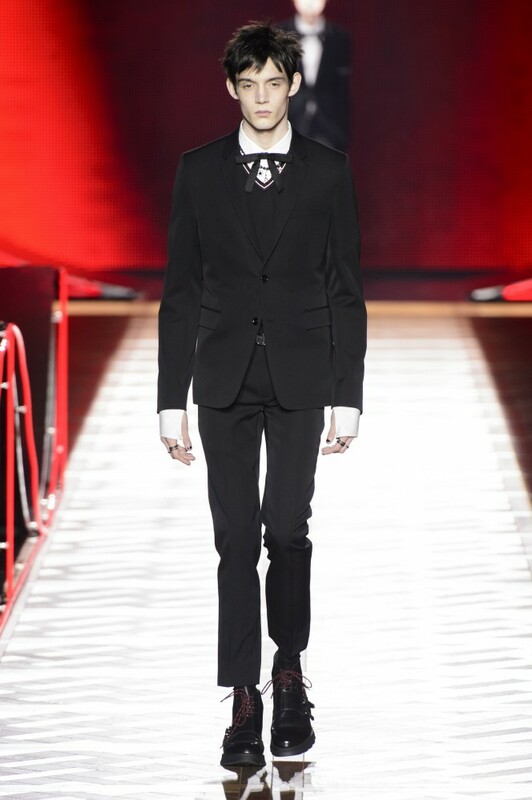 The Dior Homme FW16 man has no time to yearn for a bygone era, he’s busy revelling in the moment. This wasn’t a rejection of the past, it was simply an embrace of the present.